The second of the four Endurance weekends at Euston Park started today with a CEI3* 160km. The 21 riders started under a sky of clouds creating a cooler beginning to the day than we have seen of late. There were 21 starters (representing 6 nations) and as ever prize money will be awarded on the judging of the Best Condition Award. 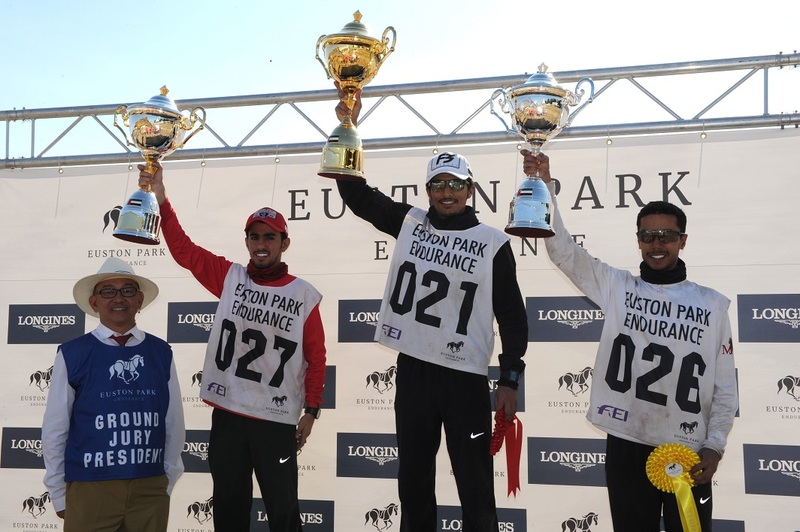 Abdulla Ghanim Said Salim Al Owaisi (UAE) secured first place, second place went to Saeed Mohd Khalifa Al Mehairi (UAE) and Salem Hamad Saeed Malhoof Al Kitbi (UAE) was third. The Best Condition prize was awarded to Shaddad who came in second.